Just last week, Apple was still dead silent about the long-delayed Apple Airpods that were announced alongside the iPhone 7. 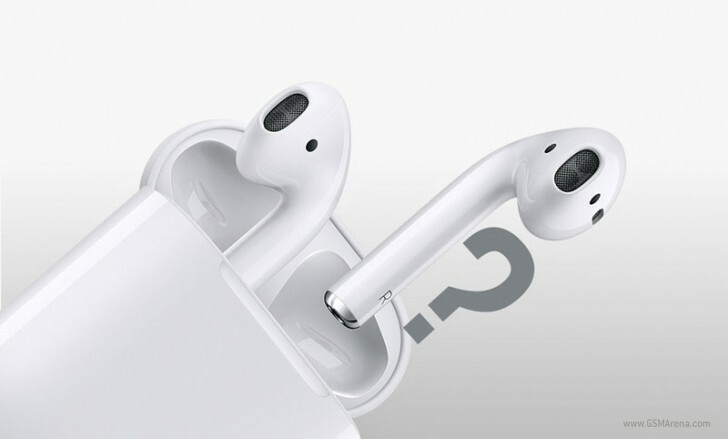 Reasons for the delays pointed to troubles syncing audio streams between the two Airpods and the other reason was that Apple was still figuring out how to deal with customers who lose an Airpod or their charging case. Well, shortly after that post, Apple released the Airpods to the market, just in time for the holiday shopping season. Likewise, Apple has also detailed on its website its rules for replacing any Airpod parts. For $160, you get the Airpod earbuds and their charging case. Rather than Apple telling you you’re SOL for losing one of the earbuds or charging case and needing to buy a whole second set, Apple will allow customers to purchase a single piece of the set for $69. That will cover a single item: either the left or right airpod, or the charging case. 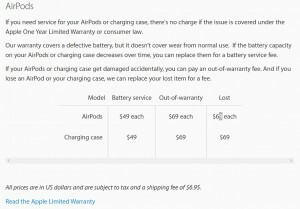 If you need a battery replacement for any of the aforementioned items, you can have its battery replaced for $49 for a single Airpod or their charging case. This will only be applicable within the Airpod’s one-year warranty from the date of purchase. Oh yeah, and those prices are “subject to tax and a shipping fee of $6.95”. If you really have your heart set on the Airpods though, you can at least rest easy knowing what would happen if you lost or damaged a single Airpod. Otherwise, $70 could go toward a longer-lasting pair of Bluetooth headphones. What do you think of these replacement prices? Do you think the $160 is worth the benefit?